Join us for a special night featuring stellar musicians playing selections from Gentry’s songbook and the world premiere of never-before-seen home movies of iconic Gentry performances. 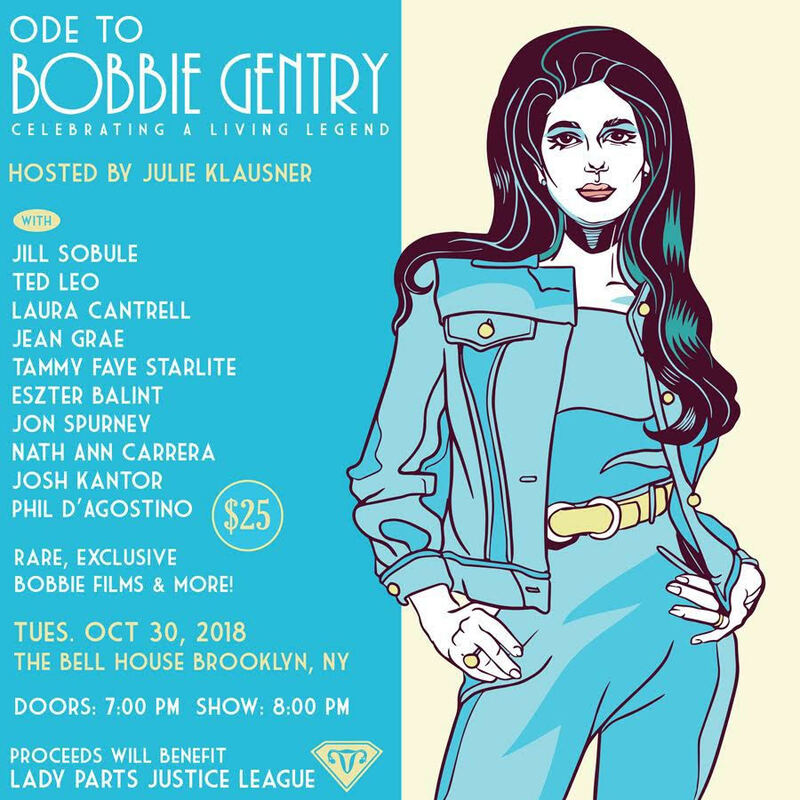 NEW YORK – On October 30, 2018 the Bell House will host a special one-night-only evening ode to Bobbie Gentry featuring an all-star musical tribute and the exclusive world premiere of never-seen archival footage of Bobbie Gentry performing in Vegas, an era mostly undocumented until now. Eszter Balint: You may recognize songwriter, actress, and violinist Eszter Balint from her starring turn in Jim Jarmusch’s film Stranger Than Paradise, her appearance on the FX sitcom Louie, or her acclaimed records such as Airless Midnight. “Miss Balint has her own film-noir sensibility as a songwriter,” Jon Parales observed in the New York Times. “[She] slips inside her characters to project their restlessness and longing.” With Gentry’s penchant for writing dark characters who need intimacy and freedom but can’t have both, Balint’s exquisite sensibility will honor the late Jimmie Haskell’s string arrangements. Jon Spurney is a composer, film-maker, writer, and multi-instrumentalist. 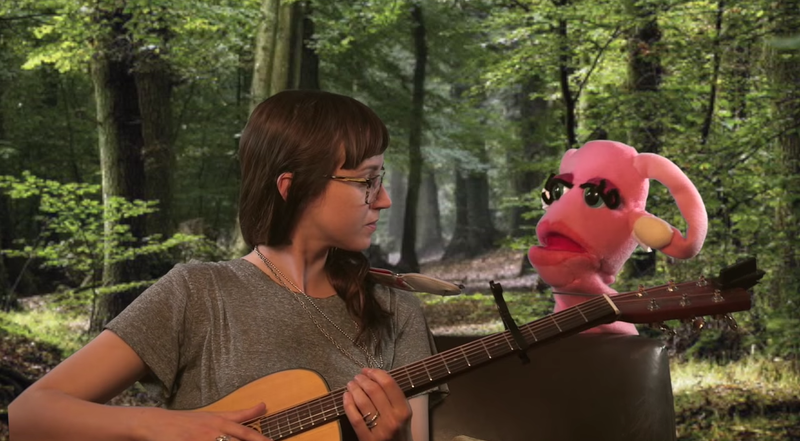 He wrote music for seasons one and two of the Emmy-nominated “At Home with Amy Sedaris” on TruTV, and co-wrote music for and appeared on camera in seasons one, two and three of the Emmy-nominated “Documentary Now!” with Fred Armisen and Bill Hader on IFC, as well as for seasons two and three of the critically acclaimed “Difficult People” on Hulu. He has composed music for “The Daily Show with Jon Stewart” and “The Colbert Report,” and appeared on Broadway in the Tony award-winning musical “Passing Strange” as well as in the film version directed by Spike Lee. He provides musical accompaniment for The Moth Radio Hour’s live shows, and served as musical director for the Public Theater’s Shakespeare in the Park productions of “A Midsummer Night’s Dream.” Spurney has performed with Elton John, Stevie Wonder, David Byrne, Lou Reed, Laurie Anderson, John Cale, Aimee Mann, and Jonathan Coulton, and also writes and directs short films for Automatic Ecstasy Productions. Nath Ann Carrera: Described as “heavenly” by the New York Times and brimming with “essayistic songs about female revenge and politics” in the Paris Review, Nath Ann Carrera performs in vaunted venues all around New York City. A devoted Gentry fan, they’ve been performing “Belinda,” Bobbie Gentry’s ode to a Texas stripper, for years. Their celebrated show “I Don’t Want To Throw Rice, I Want To Throw Rocks: The Early Southern Gothicism Of Dolly Parton” returns to Joe’s Pub this fall. Josh Kantor: As the organist for Boston Red Sox homes games, Josh Kantor “has the coolest job in the world.” He also has other countless cool gigs, like jumping on stage with an accordian for Jon Langford, or playing keyboards for The Split Squad (a supergroup made up of members of Blondie and the Fleshtones), Boston luminaries Jim’s Big Ego, and The Baseball Project, a sterling group of people who love both baseball and rock and roll. Phil D’Agostino: Philadelphia-based musician and producer Phil D’Agostino is usually on the road playing bass with Get the Led Out, the country’s premier Led Zeppelin tribute band. This year, D’Agostino released indie side project Blind Subscribers, a record built to last about things that aren’t. In 2015, D’Agostino served as musical director for The Lower 40, a one-day pick-up project of 14 musicians performing Bobbie Gentry’s debut record “Ode to Billie Joe” in its entirety, aired live and archived on WXPN 88.5FM. Laura Cantrell: A country artist from Nashville thriving in New York City, Laura Cantrell earns accolades wherever she goes. As a celebrated radio DJ, Cantrell currently hosts Dark Horse Radio, a show dedicated to the music and legacy of George Harrison, on SIRIUS. Cantrell’s latest record, No Way There From Here, has been hailed as “a superb repertory” featuring “bell-like vocal clarity to her stories, which illuminate more than explain – just enough to make you want to hear ’em again.” Cantrell’s previous record explored femininity in country by way of interpreting songs related to OG Kitty Wells. Laura Cantrell: Girl-about-town Rachel Lichtman wears many groovy hats, particularly in the autumn: producer, director, writer, visual artist & pop cultural documentarian who works in a variety of mediums. In 2015 she co-produced the documentary series Something Cool, which featured an in-depth episode on the life of Bobbie Gentry. 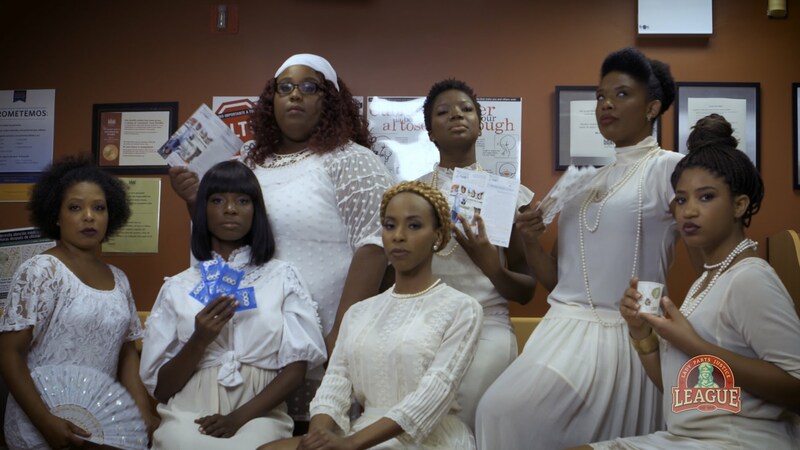 She is currently producing/directing/writing the instant cult classic web series Network 77, a retro-futuristic collection of comedy and music that reflects the television future we were promised.